We are streaming the Heavy Metal Capital of the World live! Tune in!Check out South Texas Museum of Popular Culture! San Antonio was the “Heavy Metal Capital of the World” between the late 1970s and early 1990s. 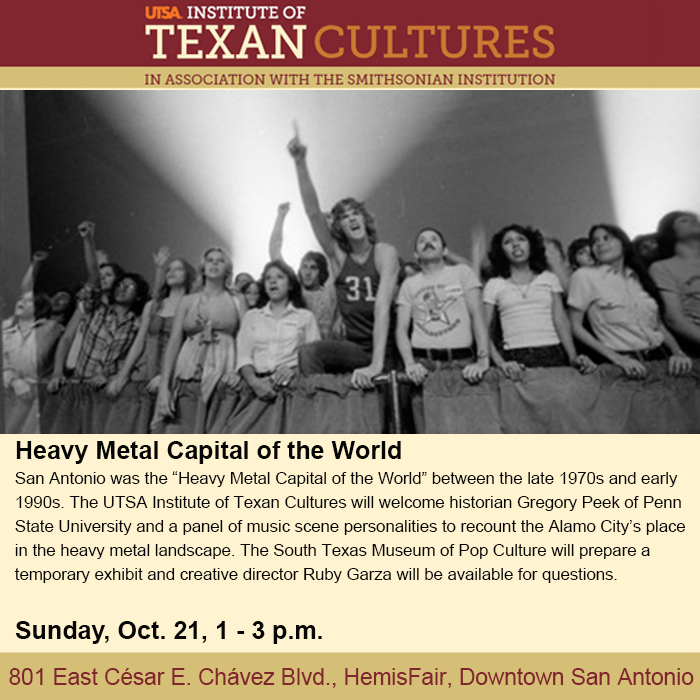 The UTSA Institute of Texan Cultures will welcome historian Gregory Peek of Penn State University and a panel of music scene personalities to recount the Alamo City’s place in the heavy metal landscape. Peek will present original research covering local and touring acts, DJs, promoters and radio stations that helped create the metal scene. A panel discussion will follow, including some of the major players who lived through and remember this era. Research identifies icons such as Joe Anthony and his mentor Lou Roney, who identified and nurtured talent, from local clubs to Freeman Coliseum. 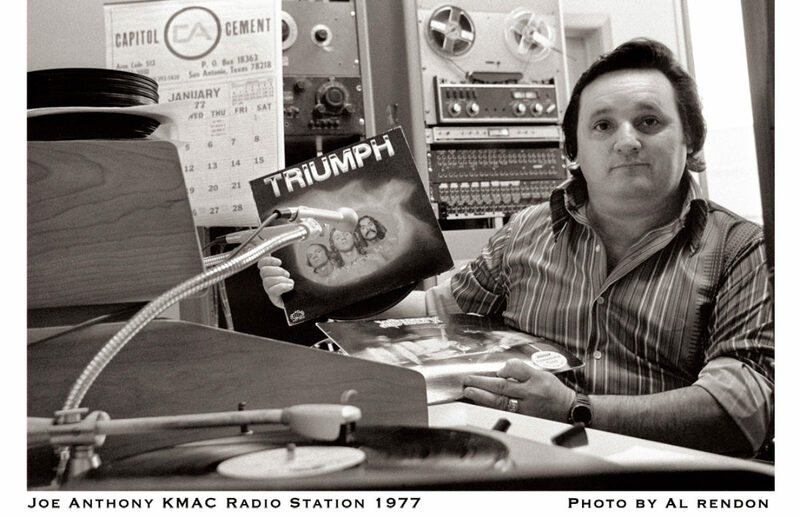 Their work at KMAC-AM and KISS-FM blasted heavy metal over the airwaves, spreading it through San Antonio and small Texas towns. The South Texas Museum of Pop Culture will prepare a temporary exhibit and creative director Ruby Garza will be available for questions. Guests are encouraged to wear concert t-shirts and come ready to remember how San Antonio used to jam. 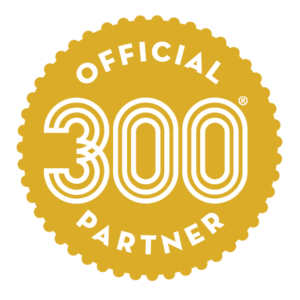 The panel is an official Tricentennial event. $10 for adults (18-64); $8 for seniors (65+) and children (6-17); free with membership, UTSA or Alamo Colleges identification. For additional information, call (210) 458-2300 or visit TexanCultures.com.